Established in 1926, we have many years of experience in the packaging industry. We offer the best products and the best service. Our goal is to be unequaled in our industry by delivering superior value to our customers. From corrugated containers and cleaning supplies to first aid kits and hand trucks, we provide companies across Wisconsin and the Midwest with the necessary supplies to run their business. 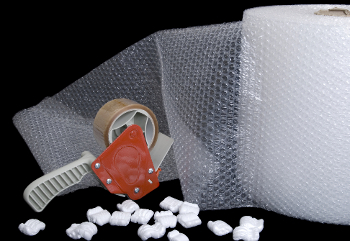 Whether you need packaging materials to ship your products, service carts and tow dollies for your warehouse, or eye protection and respirators for a construction crew, American Paper & Packaging is your one-stop shop for business solutions and supplies. We generate successful results for our customers with our refined process integrating our core beliefs, our capabilities, and our technology. Our representatives first act as consultants, examining your business data to transform inside information into profitable improvements. By focusing on your needs and objectives, we create innovative and cost-effective solutions. Using our wide range of resources to evaluate your needs, processes, and costs, we will help you select and implement the best solution for your company. Finally, we forecast the potential positive impact of the implemented solutions. We stay involved in your ongoing success through logistics management, including Vendor Managed Inventory (VMI) Programs, Just-in-Time Deliveries, and Continuous Process Improvements. Exceeding your expectations is how we measure our success! Contact our business solutions specialists for more information on our packaging, janitorial, safety, industrial, and specialty products.